This post is brought to you in partnership with PSCU and and local Kansas City credit unions who are helping to keep our money local through sustainable local banking. 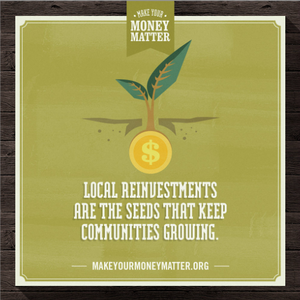 Learn more at makeyourmoneymatter.org. Quay Coffee is only a year and a half old but it already feels likes a classic. Beyond the standout coffee and urban vibe, Quay has become an anchor for the River Market by bringing a sense of community and a central meeting place for downtown loft dwellers, Saturday afternoon loungers and those needing a change of scenery from the office. We recently interviewed Quay founders, Cory and Tanner, to get their thoughts on coffee, the cafe and the Kansas City startup scene. Q: What inspired you to bring Quay Coffee to the Rivermarket? A: We were looking for a community to be a part of, not just to set up shop but be active in. Here in the River Market we are a part of a family, some of that family lives in the River Market, some work in the River Market and still others drive into the market. But the great community aspect is always there. The River Market also has a rich and important history with Kansas City from the very beginning to the River Quay to the current revitalization that has been happening. Finally our building that we are a located in was built in 1869, we enjoy the story that it has to tell and we are a part of that ongoing story. Q: What are some of your favorite Kansas City local startups? A: We can’t get too far without mentioning Oddly Correct. They are a local startup as well as our roaster. Great coffee and great people who love this city like we do. Local Pig and Pigwich is definitely a favorite around here as well. The time they take with creating a great product is obvious in every bite. There are some other great local start ups like: the Photo Bus KC, KCCOUSA, Hugo Tea, Prairie Goods, Hammerpress and honestly the list can just keep going. We love being a part of everything local KC. Q: Who is the most interesting person you've served in the shop? A: Everyone is pretty interesting…generic answer! We have had our fair share of local and national celebrities, but that doesn’t necessarily make them overly interesting just cool! It really is hard to say because people may come in once and then become a face we see regularly, where we know their drink and about them as a person. So I would say the most interesting people are the ones who tell us about themselves and let us become more than just a place to grab a cup of coffee but truly a place that they can call “their coffee shop”. Q: Favorite place to grab drinks downtown? A: We like to keep things close by so I would say Cellar and Loft has a great environment to hang out as well as a wide selection to choose from. Manifesto and Tannin as very nice places with some amazing professionals behind the bar. Q: What's been your most exciting moment of 2013? A: We have had some amazing opportunities and acknowledgments. We were able to travel to Dallas, Miami and Los Angeles to provide coffee for some Cadillac events. In the summer a New York Magazine article came out about the top coffee shops in the nation and we were on the list as the only shop from Kansas City. But one of our highlights has to be our first year anniversary. It has been a great year and a ton of fun. Proud to be a part of the wonderful Kansas City and the growing coffee community that exist here. This post is sponsored by Make Your Money Matter in association with PSCU, though all views expressed here are our own. Here at Finding Kansas City we believe that supporting small businesses is an important way to make your money matter. That is why we've partnered with local credit unions like Mazuma to educate the community about the upside of credit unions on our local economy.